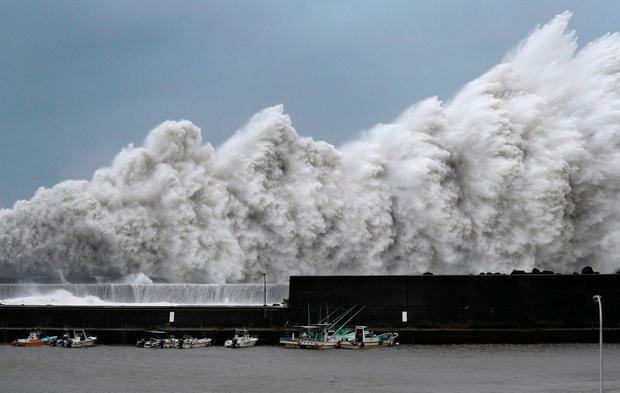 Japan issued evacuation advisories for more than 1 million people and cancelled hundreds of flights in the face of extremely strong winds and heavy rain as typhoon Jebi made landfall on its west coast on Tuesday. The storm made landfall on Shikoku, the smallest main island, around noon. 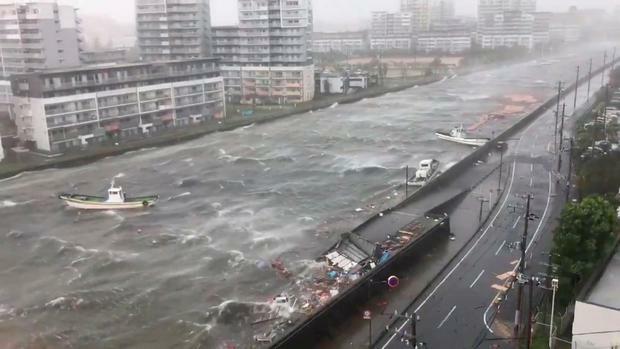 It raked across the western part of the largest main island, Honshu, near the city of Kobe, several hours later. Television footage showed waves pounding the coastline, sheet metal tumbling across a parking lot and a truck turned on its side. 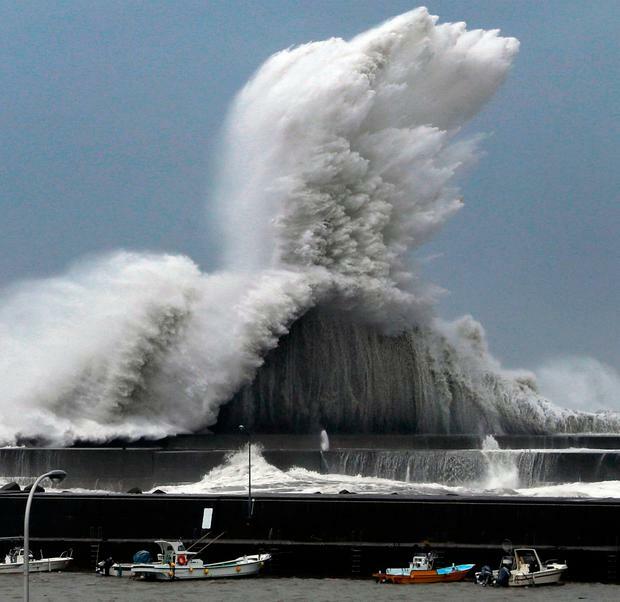 More than 700 flights were cancelled, along with scores of ferries and trains, NHK said. Shinkansen bullet train services between Tokyo and Hiroshima were suspended and Universal Studios Japan, a popular amusement park near Osaka, was closed. Some 177,000 customers across western Japan lost power, the Ministry of Economy, Trade and Industry said. Toyota Motor Corp said it was cancelling the night shift at some 14 plants. The capital, Tokyo, will be far from the centre of the storm but was set for heavy rains and high winds by the end of Tuesday. 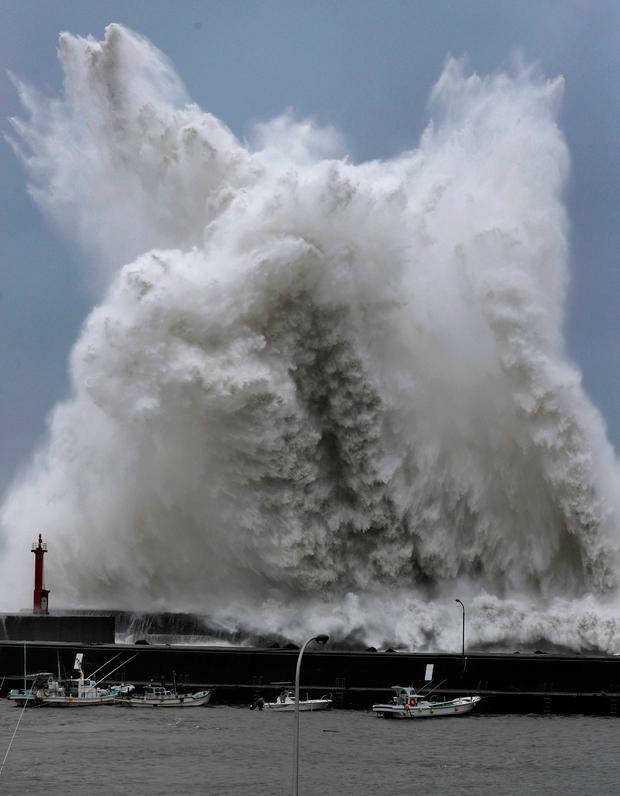 Jebi’s course has brought it close to parts of western Japan hit by rains and flooding that killed more than 200 people in July. However, it was set to speed up after making landfall, minimising the amount of rain that will fall in one place.